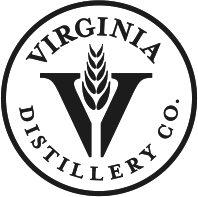 Virginia Distillery Company is an American Single Malt Whiskey distillery nestled in the Blue Ridge Mountains in Central Virginia. Courage & Conviction, their American Single Malt is set to be released in 2020. It is produced on-site using malted barley from the U.S. and water from Virginia’s Blue Ridge Mountains. Sherry, Cuvée and Bourbon casks are used to age this unique Whiskey. Their Port Cask Finished Virginia-Highland Whiskey focuses on finishing in port-style Wine casks sourced primarily from Virginia, which won “Best American Blended Malt” at the World Whiskies Awards. They also have their cedar cask finished, Chardonnay cask finished and Beer finished seasonal expressions. What does Virginia Distilling taste like? The Flavor Spiral™ shows the most common flavours that you'll taste in Virginia Distilling american whiskey and gives you a chance to have a taste of it before actually tasting it.